The Kruger National Park in South Africa is famous for both the "Big Five" game mammals of Africa as well as its "Big Six" birds. 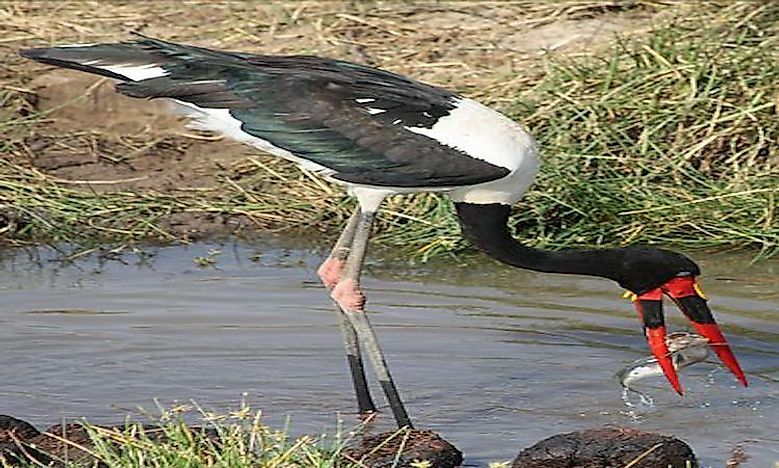 Saddle-Billed Stork is one of the "Big Six" Birds Of the Kruger National Park. Kruger National Park is located in northeastern South Africa. 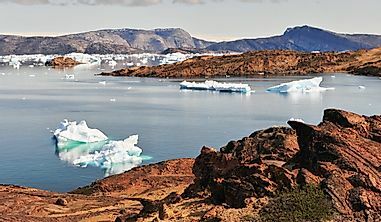 It covers an area of 7,523 square miles, making it one of the largest national parks in Africa. Tourists from all over the world visit this park on safari to catch a glimpse of its diverse wildlife. Nearly everybody hopes to see the “Big 5” mammals. Not as many people know about the “Big 6” birds. The Big 6 is a list of 6 bird species selected by park officials for their uniqueness. This article takes a look at those birds. The kori bustard stands between 2 feet 4 inches and 3 feet 11 inches in height with a wingspan of between 7 feet 7 inches and 9 feet. It generally weighs between 14 and 40 pounds and is believed to be the largest flying bird in the world. 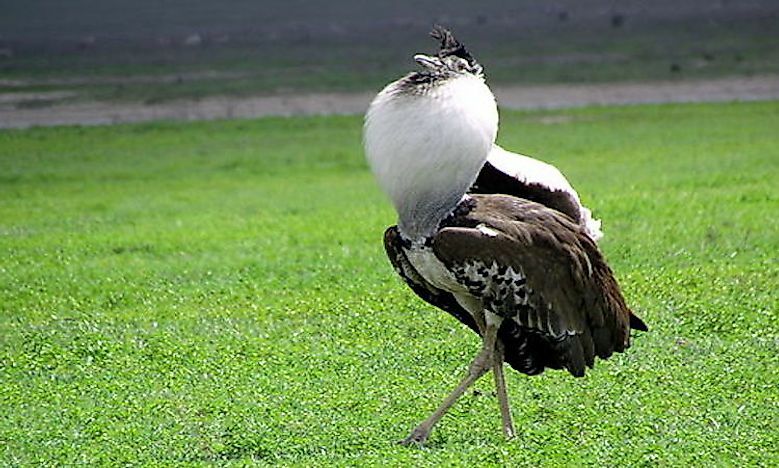 The kori bustard has a brown back, a grey neck, and is covered in a black and white pattern. 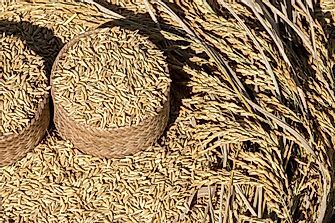 Its habitat is in grasslands with sandy soil and low precipitation. Their diet consists of insects, small reptiles, small mammals, other bird eggs, grass, seeds, and berries. Its breeding season coincides with rainy season. The females lay eggs in a hollowed out ground area, usually near a tree or termite mound. The martial eagle grows to a length of between 31 and 38 inches and weighs between 6.6 and 13.7 pounds. Its wings stretch to between 6.2 feet and 8.6 feet, making it the largest eagle in Africa. 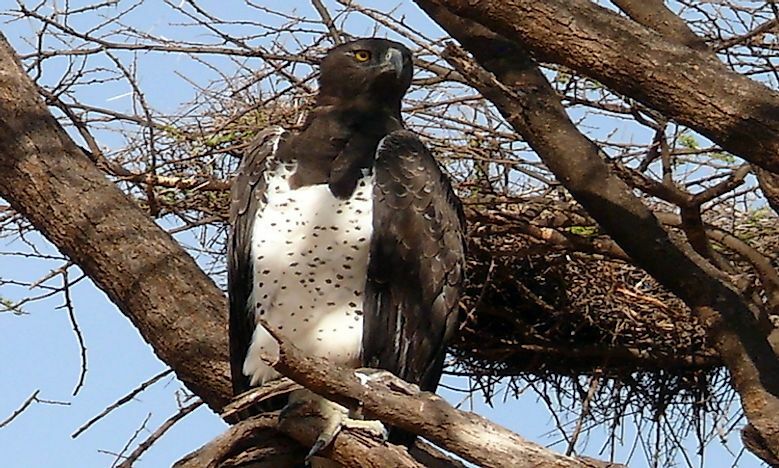 The adult martial eagle has dark brownish-grey plumage on its back, head, and throat. Its chest and stomach are white with dark spots. This bird prefers woodlands or wooded savannas for nesting and hunting. The martial eagle is a top predator species. Its diet consists of other birds, reptiles, and mammals. Generally, its breeding season is between November and April. Females lay one egg every other year. This bird species is considered vulnerable. The saddle-billed stork is a large bird that can grow to heights of 59 inches with a 7.9 foot to 8.9 foot wingspan. These birds can weigh anywhere from 11 pounds to 16.6 pounds. Its appearance is unique in that its head, lower back, and wings are covered in iridescent black feathers. Its upper back, chest, and stomach are white and its long beak is red with a black bar and yellow bar between the eyes. This bird can be found in wetlands, both open and wooded. 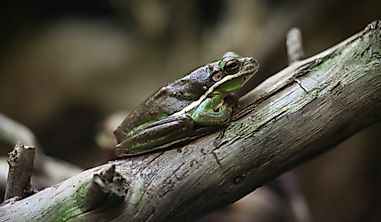 Its main diet consists of frogs, fish, and crabs, although it has also been seen feeding on small reptiles and other birds. 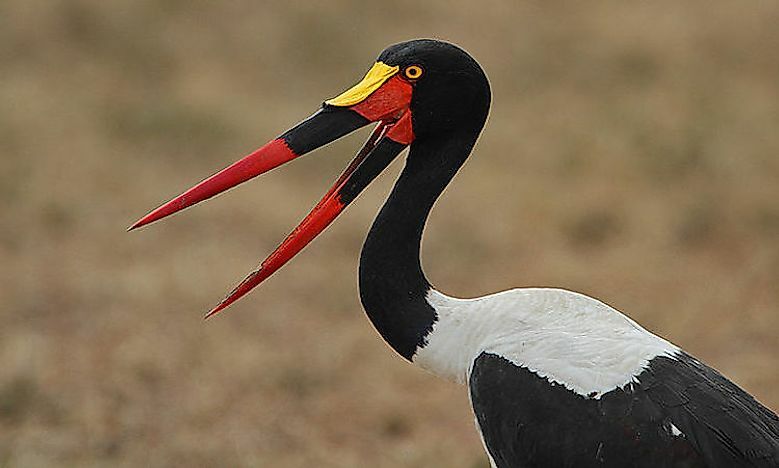 The saddle-billed stork lays one to two eggs in a large, stick nest located high in trees. The lappet-faced vulture is an Old World vulture. It is a large bird that grows to between 37 and 45 inches. Its wingspan measures between 8.2 feet and 9.5 feet. This bird usually weighs around 14 pounds. Its overall color is a brownish black with some whitish feathers on its upper legs. The lappet-faced vulture has no feathers on its head. Its preferred habitat is in dry savannas or deserts with minimal tree coverage. This bird species is a scavenger, which means it feeds mainly on carcasses it finds lying in the open. They build their nests at the top of acacia trees and line them with fur, feathers, or leaves. 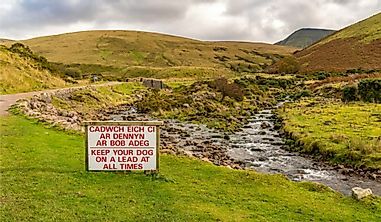 Females lay and nest eggs in this park between May and January. 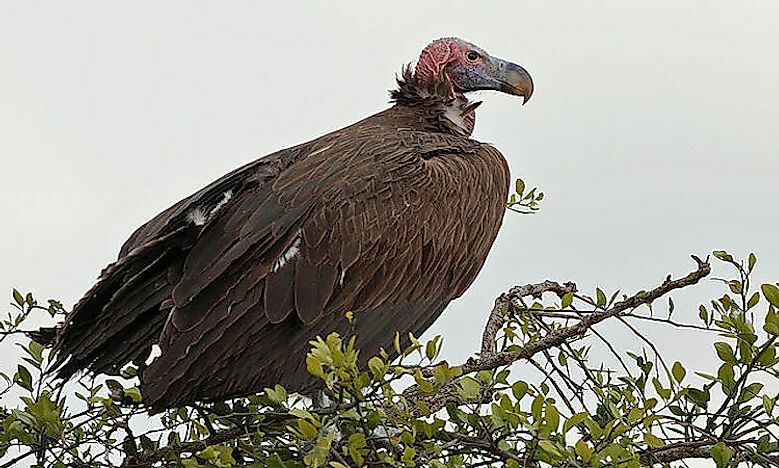 The lappet-faced vulture is an endangered species. Pel’s fishing owl is one of the biggest owls in the world. It can reach between 20 and 25 inches in length and its wings spread to about 60 inches. It weighs between 4.4 and 5.2 pounds. This owl can be recognized by its brown to tan coloring with spots covering its body. It has dark stripes on its tail feathers and a white throat that is usually covered by tan feathers. This bird species can be found in forests near bodies of water. It hunts at night and generally eats frogs and fish. 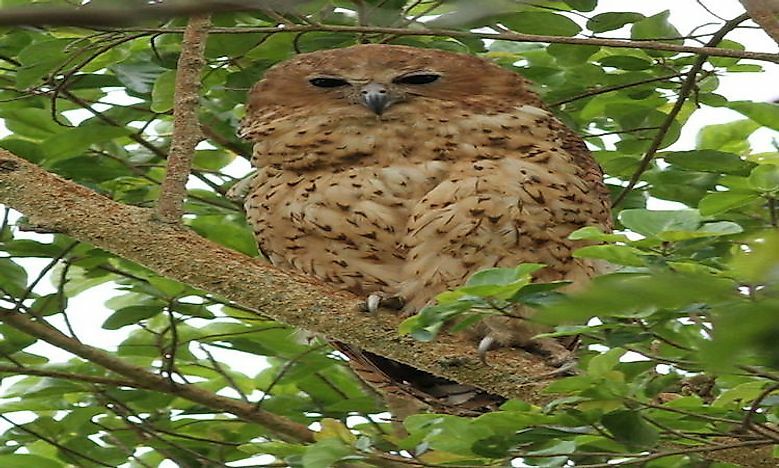 Breeding season for Pel’s fishing owl is during dry season. This owl builds its nest in holes found in tree trunks, where the female lays between 1 and 2 eggs. The ground hornbill is one of the largest of the hornbill species. It grows between 35.4 and 50.8 inches long with a wingspan of 19.5 to to 24.3 inches. It usually weighs between 4.9 and 13.7 pounds (depending on gender). These birds are black in color with bright red skin around their eyes and throat. Females can be recognized by a bright blue stripe under the chin. 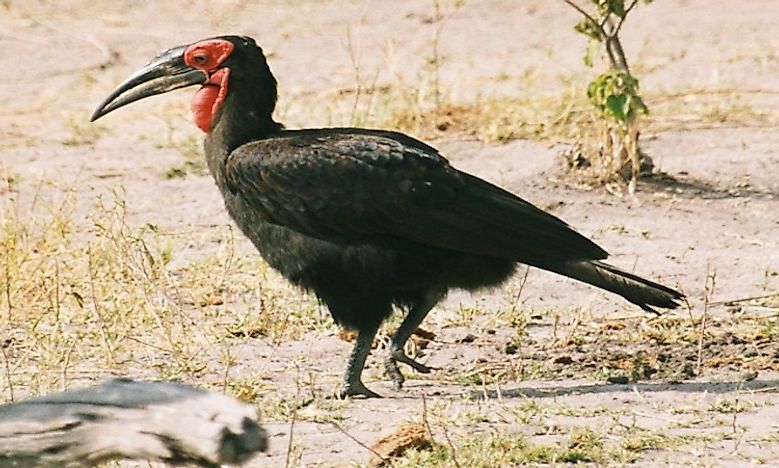 The ground hornbill is endemic to sub-Saharan Africa. 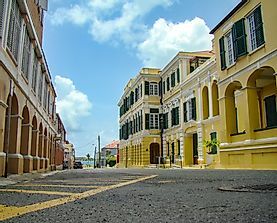 Its preferred habitat is in grasslands with some trees. Its diet is varied and consists of insects, small reptiles, frogs, snails, and small mammals. These birds breed in groups made up of at least 3 pairs. The females lay between 1 and 3 eggs at the beginning of rainy season. If more than 1 egg is laid, either the parents or the other siblings kill all but one of the babies. The ground hornbill is considered a vulnerable species.